This property's price has dropped from £1,000,000 to Guide Price £945,000. 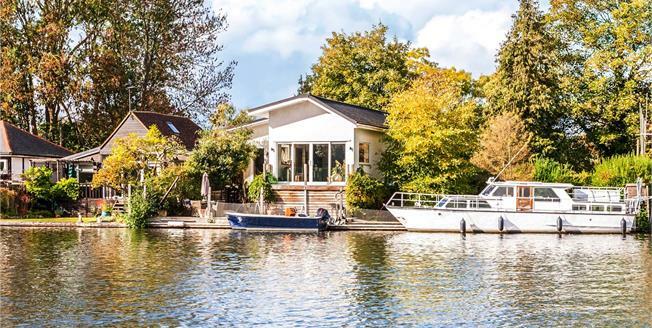 WATERSIDE - Located on a private Island with no vehicle access and in a secluded plot fronting on to the river with a 85’ mooring is this 'Smart home', eco house built in 2012. The accommodation is made up of a large living/dining room with full height glass doors to river-facing balcony, stylish integrated kitchen and steps to a hidden upper mezzanine snug area. There is a generous master bedroom with en suite, which in turn leads to a walk-in wardrobe. There are two further double bedrooms and a feature family bathroom, as well as a utility room and cloakroom. 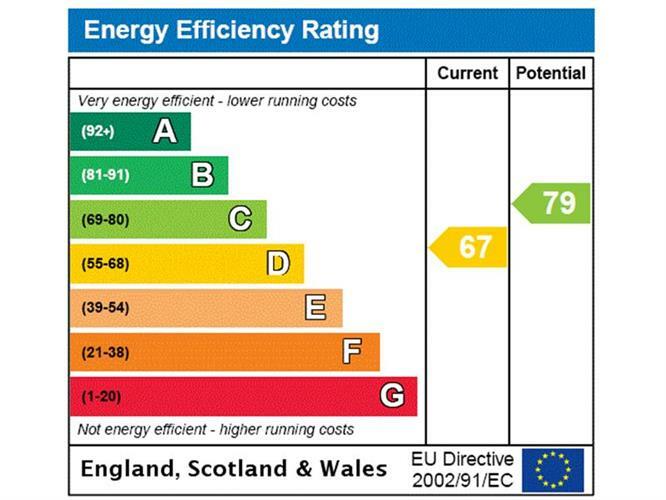 The property benefits from underfloor heating throughout and state of the art audio, heating and lighting system. To the front of the house there is a decked entertaining area overlooking the river with 85ft private moorings. To the side is a large garden area which fronts the river moorings. To the other side of the house there is a further open garden area which overlooks the Thames backwater. There is a huge amount of secure storage and workshop area underneath the house.